Join The Pay Per Call Affiliate Program! PayPerCall.com is the premier pay per call service bureau offering 900 and 800 number pay per call lines to businesses, and consumers since 1997. Would You Like to Earn Money Promoting the Leading Pay Per Call Provider? Earn $100 On Every Sale! 1Signup at the link below that says "Join Now"
3Fill out the Contact us form indicating the exact page where your link to PayPerCall.com is located! We will then deposit $25 in your affiliate account immediately! 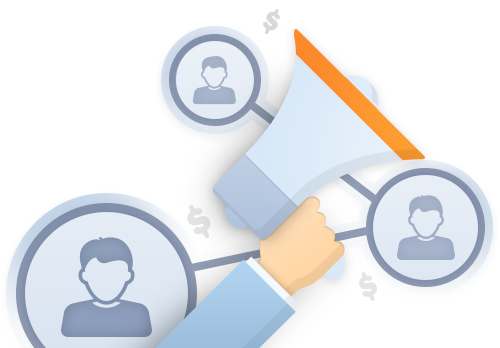 We will provide you with your very own tracking links, banners and text to help you promote the PayPerCall.com services. We will never charge you for this service and no fees will ever be deducted from your earnings! We also provide you with your very own detailed stats and account area where you can check your revenue 24/7, and withdraw your revenue anytime of the day/week with absolutely no minimums - no waiting weeks or months for your payout! Plus we track all your visitors for up 30 days using cookies, so you still get the sale even if they come back next week! You get Paid on the 25th of every month for the previous months sales. Minimum payout is $100 = 1 sale. Our Success Will Be Your Success! Earn $100 for Each Pay Per Call Referral you Send to PayPerCall.com Which Results in a Sale. Join the Most Successful Pay Per Call Provider on the Internet Now. The Best Way to Earn Money. Join the PayPerCall.com affiliate program now, absolutely free.